SS1 Caseres 1 (gravel) (12.50 km) 7:19.8 6. 6. WRC 102.3 0.25 7:19.8 6. SS2 Bot 1 (gravel) (6.50 km) 4:06.1 6. 6. WRC 95.1 0.25 11:25.9 5. SS3 Terra Alta 1 (gravel & asphalt) (38.95 km) 24:55.0 1. 1. WRC 93.8 36:20.9 1. SS4 Caseres 2 (gravel) (12.50 km) 7:10.2 5. 5. 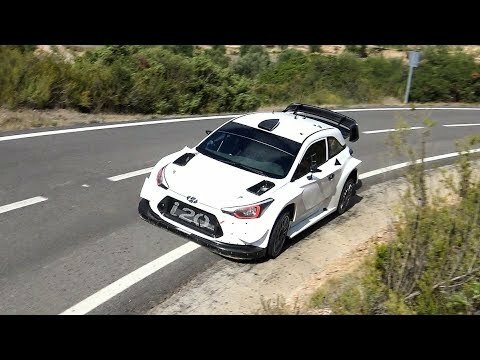 WRC 104.6 0.17 43:31.1 2. SS5 Bot 2 (gravel) (6.50 km) 3:58.5 2. 2. WRC 98.1 0.12 47:29.6 1. "Improving and improving stage by stage. I know I will like this car - it can only get better from here." SS6 Terra Alta 2 (gravel & asphalt) (38.95 km) 24:26.7 6. 6. WRC 95.6 0.20 1:11:56.3 1. SS7 El Montmell 1 (asphalt) (24.40 km) 12:34.6 7. 7. WRC 116.4 0.52 1:24:30.9 3. SS8 El Pont d'Armentera 1 (asphalt) (21.29 km) 11:06.3 8. 8. WRC 115.0 0.55 1:35:37.2 6. "I tried the best I could, but this type of stage is all about fine turning and knowing the car. I'm learning. I need more time in the car." / "Tyhle zkoušky jsou o nejlepším nastavení a znalosti vozu. Potřebuji víc času." SS9 Savallà 1 (asphalt) (14.12 km) 7:31.8 7. 7. WRC 112.5 0.46 1:43:09.0 5. "It's been a big learning curve this morning. I hoped for more pace but I need to know the car more on Tarmac to go fast. I'm in the process of learning." / "Je to dnes velké učení, musím auto víc poznat." SS10 El Montmell 2 (asphalt) (24.40 km) 12:33.4 9. 9. WRC 116.6 0.33 1:55:42.4 5. "Now the temperature is increasing I feel I have more understeer, it's not nice. I tried to drive on the limit. I know how to drive on Tarmac, I don't want to change too much." / "Zvedla se teplota a pocitově je to víc nedotáčivé. Vím, jak jet na asfaltu, nebudu toho moc měnit." SS11 El Pont d'Armentera 2 (asphalt) (21.29 km) 11:10.2 8. 8. WRC 114.4 0.50 2:06:52.6 6. "That's a lot of seconds but gradually I think it is getting better and better - I just need more time in the car. All cars are different and this is completely the opposite to the snappy handling of the Citroën." / "Tohle auto je úplně jiné než Citroen, potřebuji víc času, i když si myslím, že je to stále lepší." 45. WRC 58.4 29.75 2:21:22.6 15. 44. WRC 14.1 187.50 2:30:56.4 24. SS14 L'Albiol 1 (asphalt) (6.28 km) 4:05.2 7. 7. WRC 92.2 0.68 2:35:01.6 24. "Using this day to try some different things with the car. Not really on the attack." / "Dnes chci na autě zkoušet nové věci." SS15 Riudecanyes 1 (asphalt) (16.35 km) 10:47.0 13. 13. WRC 91.0 1.64 2:45:48.6 22. SS16 Santa Marina 1 (asphalt) (14.50 km) 8:21.9 8. 8. WRC 104.0 0.86 2:54:10.5 21. SS17 L'Albiol 2 (asphalt) (6.28 km) 4:03.1 7. 7. WRC 93.0 0.72 2:58:13.6 20. SS18 Riudecanyes 2 (asphalt) (16.35 km) 10:26.5 6. 6. WRC 94.0 0.43 3:08:40.1 19. "The intercom is okay now, but the broken windscreen is affecting my confidence. Some adjustments in the car have made it calmer but still a lot of understeer." / "Interkom už funguje, ale vadí mi prasklé přední sklo." SS19 Santa Marina 2 [Power Stage] (asphalt) (14.50 km) 8:20.3 8. 8. 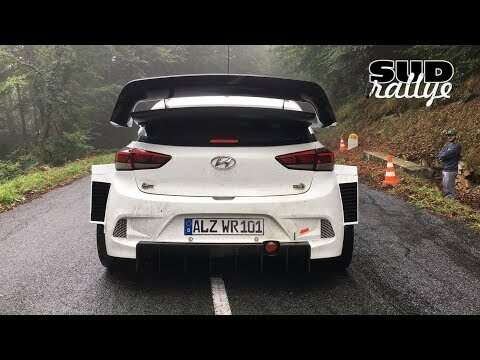 WRC 104.3 0.86 3:17:00.4 18.